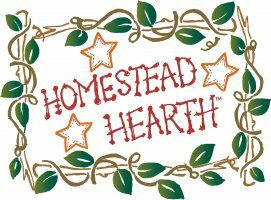 Check out these special programs, many of which are offered exclusively at Homestead Hearth. Please note: If a program has already started, please call 573-581-1966 and speak to someone in customer service about options for catching you up on installments already shipped. If you sign up for a monthly program, we will email you to confirm & ask you to call us at 573-581-1966 to provide credit card information for monthly billing. Because our site uses Paypal, we cannot see your credit card information and must obtain that separately for monthly billing. We ask you to call us so you know you are providing information directly to us.